This was first featured on Space Wolves Blog in 2010 which is now lost to the warp. In an effort to retain the information we have republished it here. Points values have changed since then and will be updated soon. Space Wolves Land Speeder tactics are much more aggressive than that of other Space Marine Chapters. Famed for lighting strikes, daring acrobatics, and complex maneuvers, Land Speeders are adept at hitting the enemy hard and from unexpected quarters. On the table, a Land Speeder is the lightest and fastest vehicle within the Space Wolf armoury. Sporting a mere Armour Value 10 on all sides, the Speeder is capable of being wounded even by basic armaments. Yet this seeming vulnerability is balanced out by a potent selection of heavy weaponry, being a Fast Skimmer, and the capability to Deep Strike onto the field. Not only can they ignore intervening terrain by flying over it, they can also zip 24” across the field and generate their own 4+ cover save. An excellent harassment or task-oriented unit, Speeders provide a combination of flexibility and mobility unmatched by any other unit. Heavy Flamer – Poorly located for this. Multi-Melta – An excellent choice. Heavy Flamer – Not bad for a backup, but not critical. Heavy Bolter – Great, if your primary is also a HB. 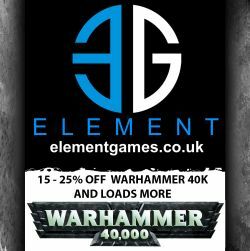 Assault Cannon – Too expensive! Typhoon Missile Launcher – A decent choice. This build is intended to Deep Strike or otherwise enter the board from Reserves. With a main purpose of alpha-striking tanks with the Multi-Melta, anything they do after their first turn is pure gravy. Though a squad of Wolf Scouts with a meltagun can perform a similar role, the Speeder is cheaper, faster, and doesn’t compete for Elites slots. Just in case the enemy didn’t bring me any tanks to shoot, I’ve also taken the backup chin Heavy Flamer for roasting batches of Infantry. This option is one of the most common to be seen as it meshes well with just about any force. This is my favorite build of Speeder Squadron: a fast moving firebase designed for eliminating enemy Infantry. They are able to move 6” and still throw out an impressive 18x S5 shots at 36”. Their mobility often allows them to sneak around cover and deny the enemy saves. Their range also allows them to operate outside the range of most squad based weaponry, swinging out to a flank and avoiding the bulk of return fire. Dealing with this threat will often require dedicated anti-tank weaponry, drawing that fire away from your other units. They work best paired with a mechanized force because of this, but can function well in any armies. For exactly the same cost, you can arm your Speeders with Typhoon Missile Launchers instead. The Frag Missile will reap heavy casualties on close packed enemies and 6x Krak Missiles can threaten any type of tank. Though you lose that slight chance for Penetrating AV14, you gain the ability to fire from up to twice the range away. This will keep your Speeders alive longer as they won’t have to close within range of enemy squad-based weaponry. 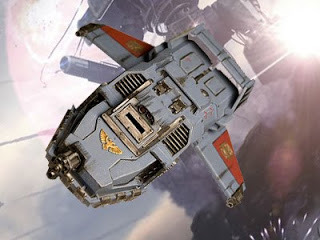 It is important to note that Speeder Squadrons will work better in an army heavy in Rhinos or Razorbacks, to benefit from target saturation of the “light” AV10-11 range. 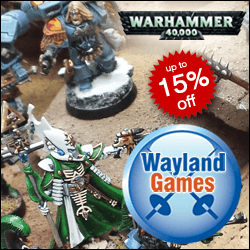 Though this is a common choice for some Wolf Lords, the versatility of the Space Wolf Codex supports many strong builds that are not to this pattern. Land Speeders also suffer from the same onus as Fenrisian Wolves: the competition for Fast Attack slots. Thunderwolf Cavalry and others vie strongly for that limelight. As they lack any “Space Wolf flavour”, I doubt many Wolf Lords are going to be particularly inspired by this little machine. Still, if you find your forces needing that extra little bit of mobility or punch, Land Speeders are very well balanced in terms of cost to effect. I don’t expect them to be a very common choice, but they might be just the right thing for you.